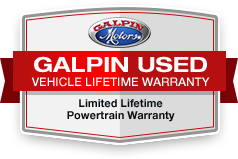 Serviced here at Galpin, Originally Sold at Galpin, NEARLY New Car AT USED Car PRICE, "The 2019 Ford Escape is a rare breed of compact crossover that deftly blends performance and utility. Sporty handling and a powerful turbocharged engine make the Escape drive more like a sedan, without sacrificing SUV versatility, making it a best-of-both-worlds choice." -Edmunds.com.